Run FSM is a different action? And Run FSM is fine? Any news on this action? Is there a way to get AudioMixer float value? Playmaker Bug Reporting / Re: Template show DISABLED when you editing the template and play the game. If during gameplay I hit edit, I can't preview what's is going on. It looks like this. 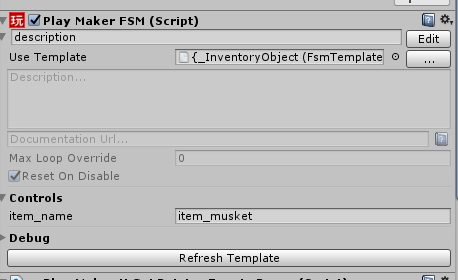 So how can I debug during gameplay like regular fsm? Playmaker Help / Re: Does a uGui "on selected/on highlighted" type event action exist? the easiest way is to get the Ecosystem browser and you can access many custom actions, samples and packages like the uGui Package. Get the Full package for ugui and it will contains all the related custom actions to work with ugui. I have problems with new actions, what is minimum Playmaker version requirement? You can also use PlayMakerUGuiPointerEventsProxy script. If you don't support navigation with gamepad or keyboard, then you can. But if you do, PlayMakerUGuiPointerEventsProxy will not help. So I moved those folders. And for the most part it works. But it seems that Exosystem has hardcoded path, so it doesn't work. 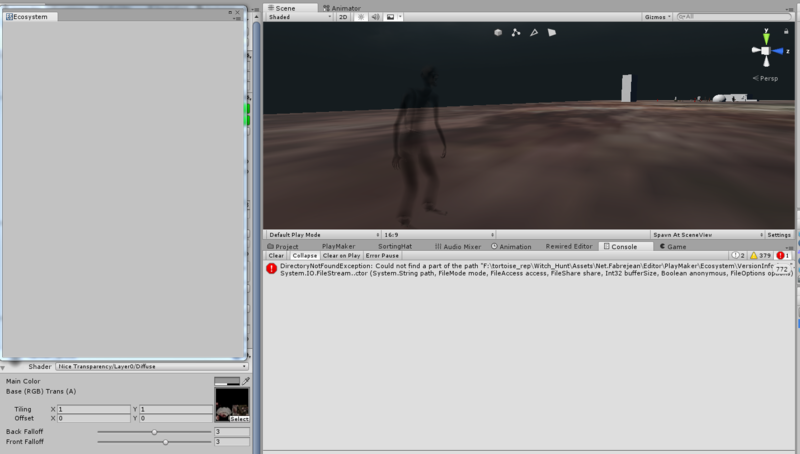 I've moved it back to original destination and considering that Net.Fabrejean scripts are location in Editor folder. 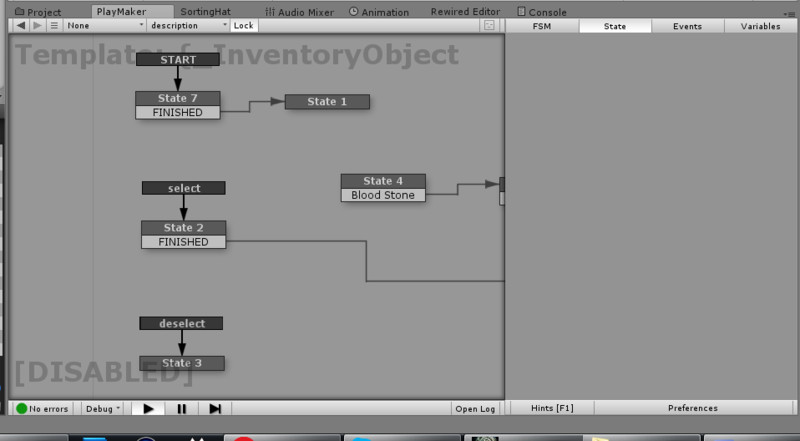 I works find with playmaker that is located in Plugins folder. General Discussion / Re: Do playmaker nodes compile down to .cs files? The fact that Playmaker doesn't need to compile any code is it's huge advantage. I've recently started editing some scripts and it blows my mind that after every small change I need wait for 30 seconds for code to compile, just to hit play button and wait another 30+ seconds. I wouldn't be able to make games if I was forced to use that workflow, or at least I wouldn't be able to make games ambitious games on my own. There's a huge benefit, to moving plugins into folders like Assets/Plugins, Assets/Standard Asset it can help drastically reduce compile time.